If you have a concrete floor in your property and are looking for concrete floor polishing contractors then give CleanAndSealUK a call today. We can help you achieve the best polished floor surface with our unrivalled concrete floor polishing service. Getting a concrete floor to a polished finish takes skills and should only be undertaken by a professional company like ours, no need to look any further as we will give you a free quote and also do a free test area to prove to you that our floor polishing service far exceeds your expectations. Concrete Floor Grinding And Polishing Professionals. If you have found a solid concrete floor in your house or property and are considering getting concrete polishing contractors in to restore and to make it into a great looking polished floor then contact CleanAndSealUK today. Our concrete floor grinding and polishing experts can restore almost any kind of concrete floor, if its possible to grind and polish and not beyond the state of repair then our concrete floor grinding and polishing experts can help you. 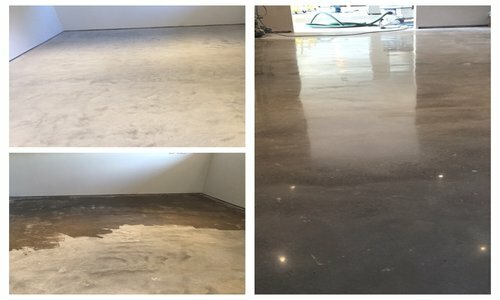 Within a couple of days your lifeless concrete floor can be transformed into the main feature of almost any room, it takes time and skill to grind and polish concrete floors and we have both. 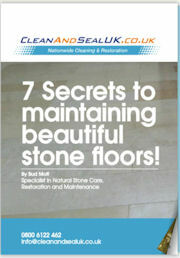 We wont rush any concrete floor grinding procedure neither will we rush the curing of the floor. We want you to be as proud of your concrete floor as much as we are. You will be glad to hear that at CleanAndSealUK we only use the best concrete sealers for sealing polished concrete floors, we wont use products that doesn’t keep your floor looking good and protected. If you are looking for a local company to seal your polished concrete floor then contact us, we will be more than happy to discuss your floor polishing needs. We know that sealing polished concrete floors and making sure that they are protected from spills and stains is paramount for the way your floor looks and feels for years to come. Left unprotected your concrete floor will soon feel grubby and will look unsightly with all the stains and spillages that are not protected by any sealers.